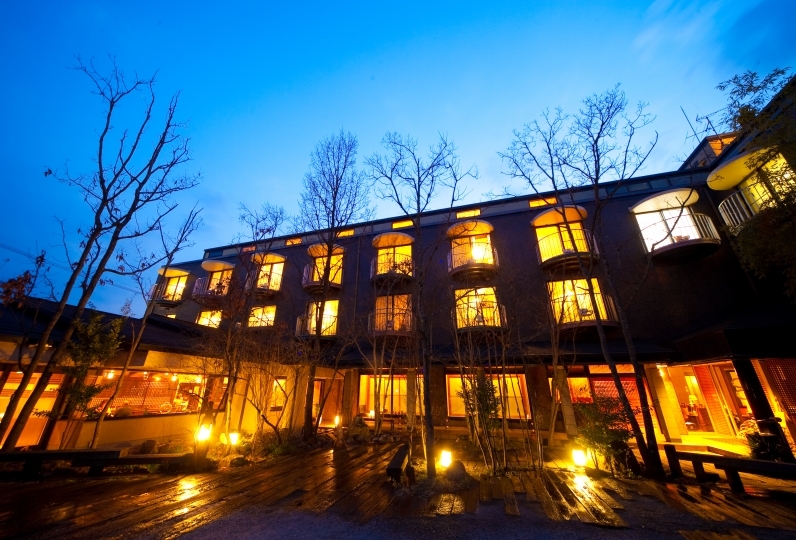 Located five minutes by car from Yufuin Station, Yufuin Hotel Morino Terrace is very convenient for sightseeing Yufuin. 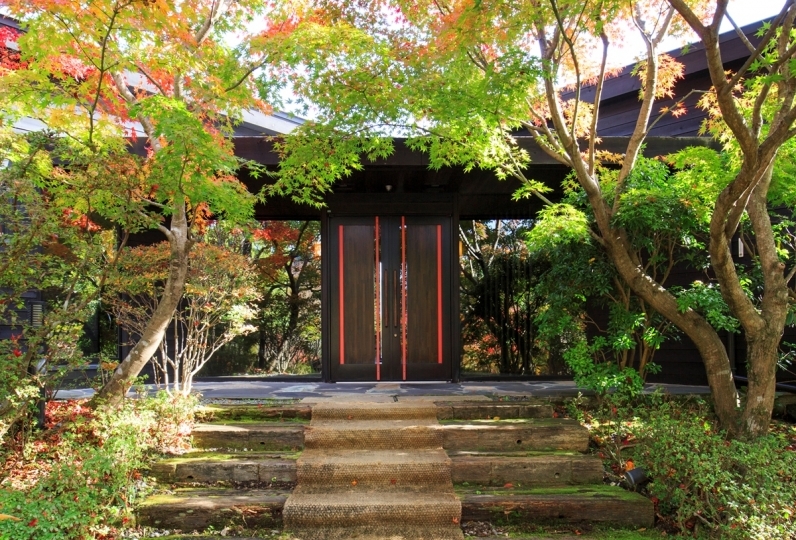 Hidden among the trees of Yufuin forest, this hotel has real Western-style bricks. 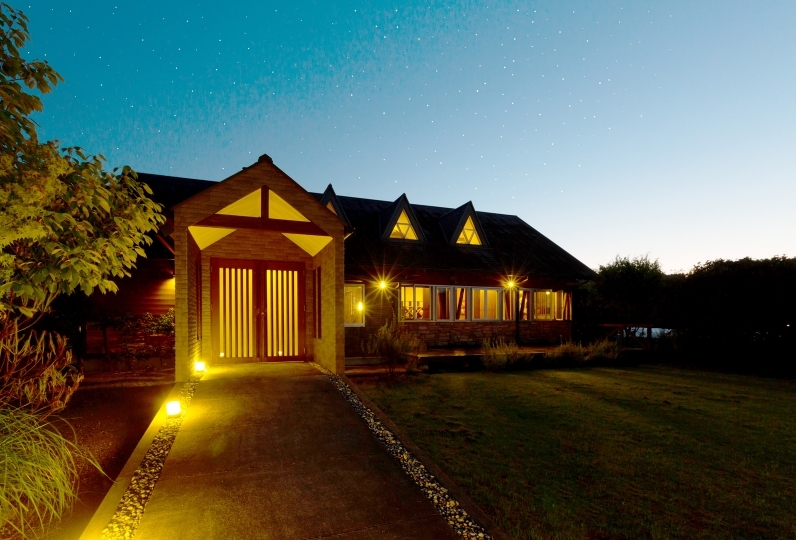 Enter through the corridor and experience different atmosphere in each room. Enjoy an elegant time in our beautiful high-quality rooms. The Yufuin French cuisine is prepared by an expert chef using locally produced vegetables with abundant flavor. Relish real French cuisine at Yufuin. Spend tranquil time in the baths, healing both your heart and body. Reserve a private family bath, separated by men and women, in three private areas. 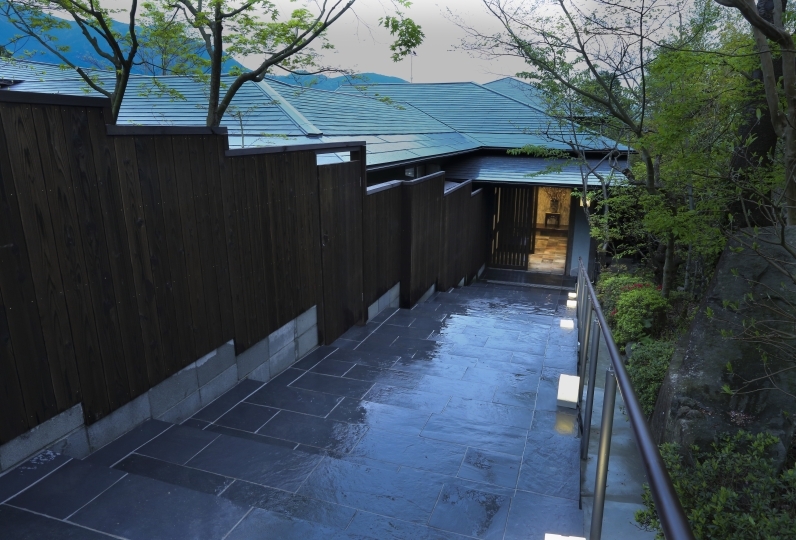 You can enjoy the most relaxing time with our hot free-flowing water from Yufuin. At the supper club you can dance in a pub, socialize, or even do the hula while being able to enjoy various liquors. Make fond memories by relaxing and eating here. 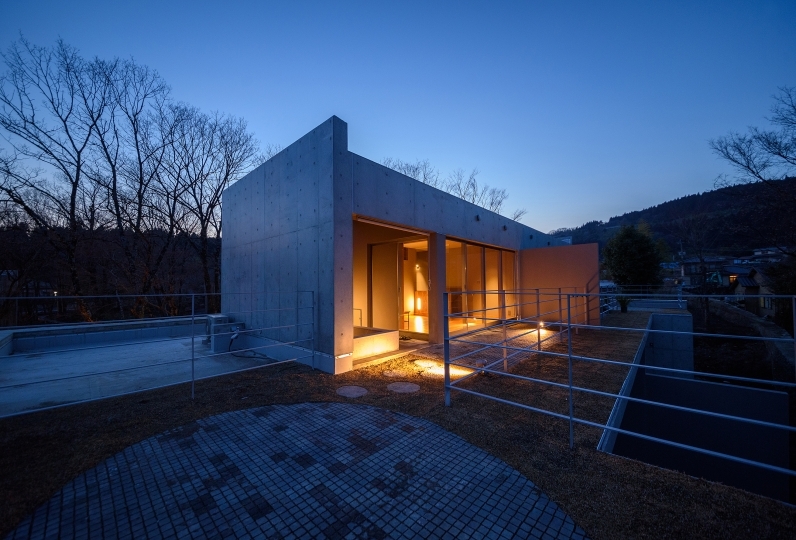 Experience a pleasant trip at Yufuin Hotel Morino Terrace. Facilities such as size of room, size of head, atmosphere, sofa, natural water, lounge (drink, book rental), hot spring were enough. The dinner was heavy. I think that the breakfast was great with a feeling of satisfaction more than a luxury hotel. The staff service was friendly, polite and comfortable. Especially the communication with the restaurant staff was very pleasant. I want to use it by all means. 픽업 서비스부터 굉장히 친절하셨고, 숙소에 도착해서 맞이해 주시는 분들역시 환한 표정으로 반겨주셨습니다. 실내 객실도 매우 깨끗한 편으로 만족스러웠고, 온천 이용도 굉장히 좋았습니다. 아침에 자전거를 빌려 동네 구경... Read more 픽업 서비스부터 굉장히 친절하셨고, 숙소에 도착해서 맞이해 주시는 분들역시 환한 표정으로 반겨주셨습니다. 실내 객실도 매우 깨끗한 편으로 만족스러웠고, 온천 이용도 굉장히 좋았습니다. 아침에 자전거를 빌려 동네 구경을 한것도 재밌는 경험이었습니다. 다시 유후인에 가게 된다면 꼭 다시 한번 들리고 싶은 곳입니다. We were very kind from pick-up service, and those who greeted us when we arrived at the hostel also welcomed us with a bright facial expression. Indoor guest room was very clean and was satisfied, and hot spring was very good, too. It was a fun experience to rent a bicycle in the morning and watch the neighborhood. 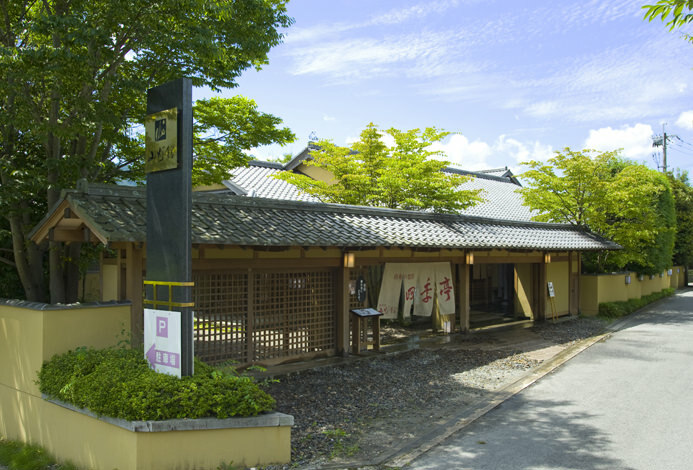 If you go to Yufuin again, it is a place you want to hear again. Offering alcohol such as cocktails and wine stocks. Please enjoy the conversation with the staff. Izumi quality water alkaline spring of pH 7.5. The most popular hot water for female as it is known to moisturize the skin. 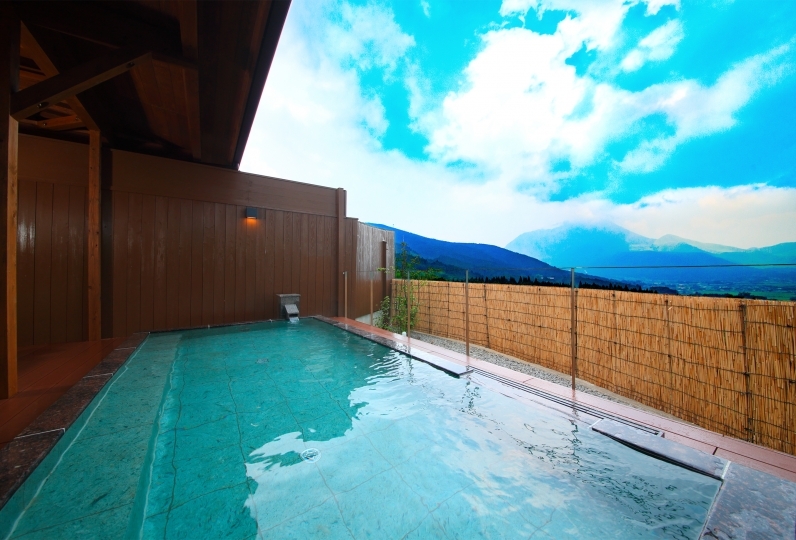 Indoor bath, open-air bath, separate for men and women, and there are three reservable open-air baths. Please relax comfortably in the hot water. Neuralgia, muscle pain, joint pain, frozen shoulder, joint stiffness, bruises, sprains, poor circulation, illness recovery period, health promotion, etc. 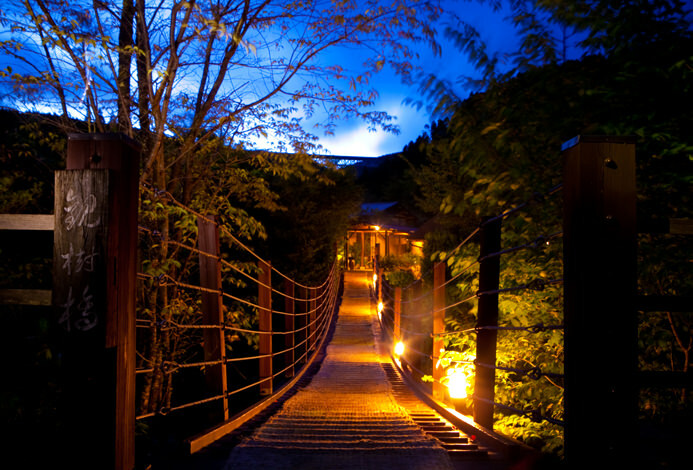 Top class spa resort full of feeling at Yufuin. The hotel's dedicated esthetician will lead healing with treatments using aroma oils. English Rose Garden about a 5-minute drive from the hotel. It is also a park about 1,500 square meters with more than 100 kinds of beautiful roses, entertaining the eyes of visitors. Wrapped in gorgeous scent, please enjoy a relaxing time. You can enjoy from spring to autumn but at the beginning of the end of May to June it is in full bloom. · Consumption tax and service charge are included.